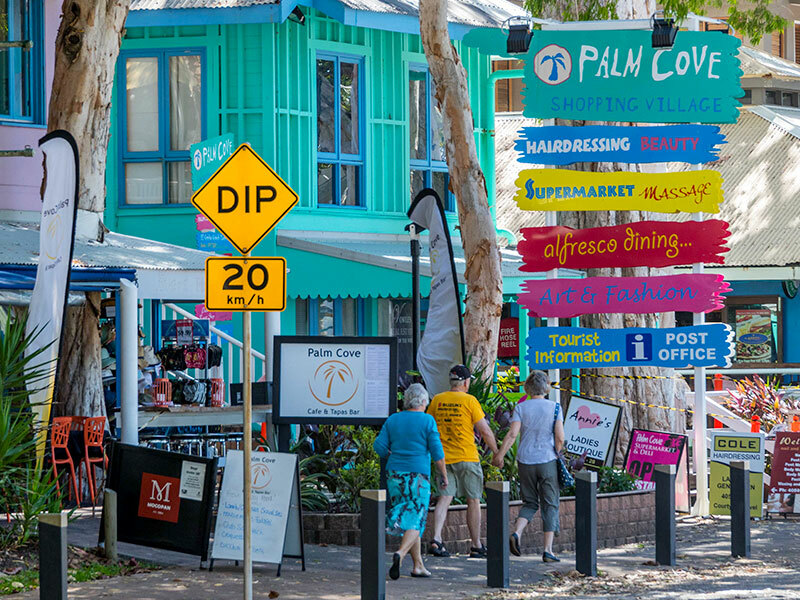 Palm Cove is a popular beach side suburb approximately 25km north of Cairns. The Esplanade had been beautifully landscaped with magnificent tropical plant growth, palms and Melaleuca trees over five hundred years old, hide many luxury five star resort properties and holiday unit developments. Many restaurants are located within these resorts and along the Esplanade proper. The region is a tourist draw card and a favorite location for day trippers. The Palm Cove jetty was originally built to service the Reef day vessels but has become a renown big fish location. During the cooler months, and calm windless days, prime Spanish Mackerel come close to shore and traverse the small depressed gutter that runs parallel to the shore about two thirds the way out along the jetty. Fish of over 50lbs have been caught from this structure, with many more lost to the barnacle encrusted pylons. Live bait is best fished from a floating rig, plenty of small stripeys, Grunter and Whiting can be caught from the jetty for this purpose. A ganged pilchard or garfish bait is also popular but both methods must be rigged using a black wire trace and swivel. Rays and sharks are also a popular target and can be fished on the bottom using standard running sinker or dropper rig. Perhaps the best thing about the Palm Cove Jetty though is its potential for the fun family outing. Very few safe fishing platforms can be found in the Cairns area but Palm Cove is one of them, and is right up alongside Anzac Park in Port Douglas. 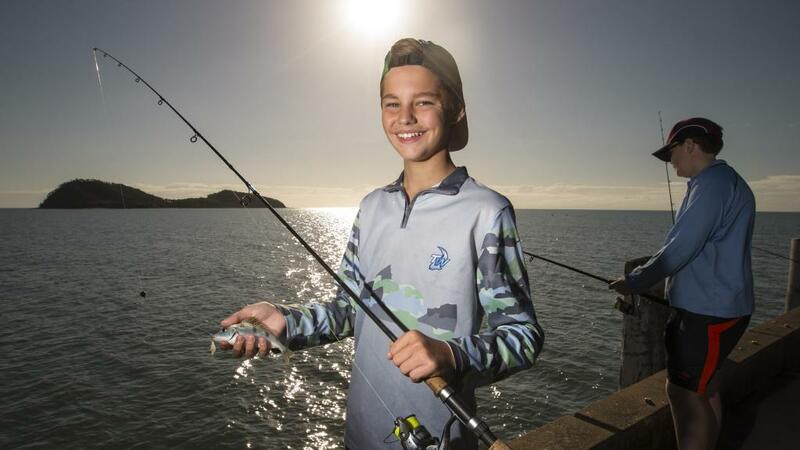 Kids will love the thrill of catching the small Grunter, Cod, Whiting, Stripeys, Flathead and Catfish that are easily accessible using prawn or fish baits. Use a light rod of 4-6 kg, running sinker and 1/0 to 3/0 hook fished on the bottom for best results. Just to the north of the jetty, at the end of the beach, there is a rocky headland that is also a good spot when the conditions are right. 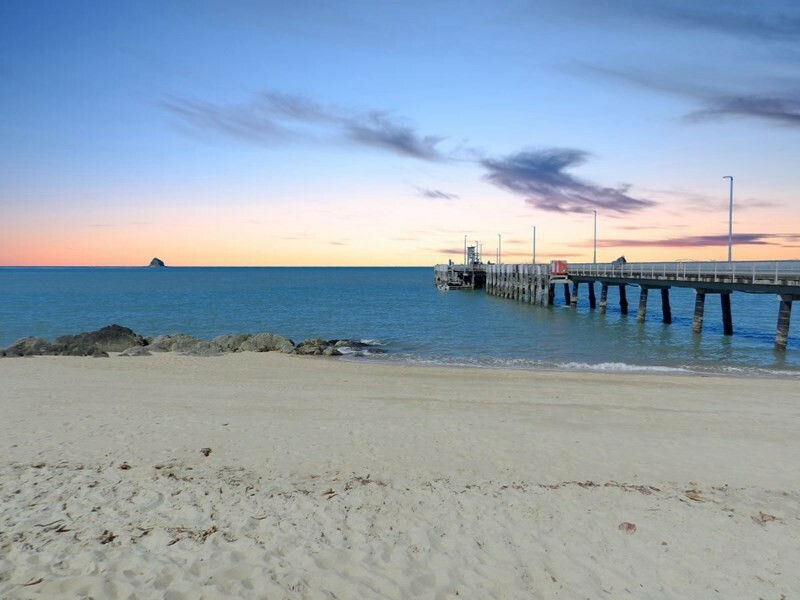 Palm Cove is wide open to the prevailing southeast winds and is best fished on calm days. Click here for Boat Ramp information for this locality.